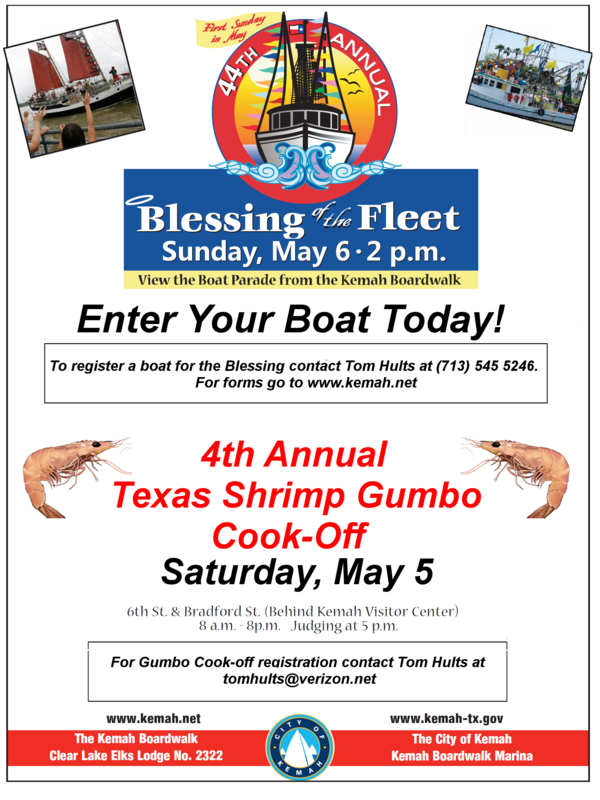 For more information or to get a parade or cook off entry form click above or you can pick up one in person at the following locations: Captain Henry’s Seafood Market (281-334-2275), Kemah Boardwalk Marina (281-334-2284), Kemah Visitor Center (281-334-3181), or Kemah City Hall (281- 334-1611).For additional information contact: Tom Hults - Chairman (713-545-5246) or via email: tomhults@verizon.net. “Throw off the bowlines, sail away from the safe harbor. Catch the trade winds in your sails. Explore. Dream. Discover.” ~ Mark Twain ~ Discover. 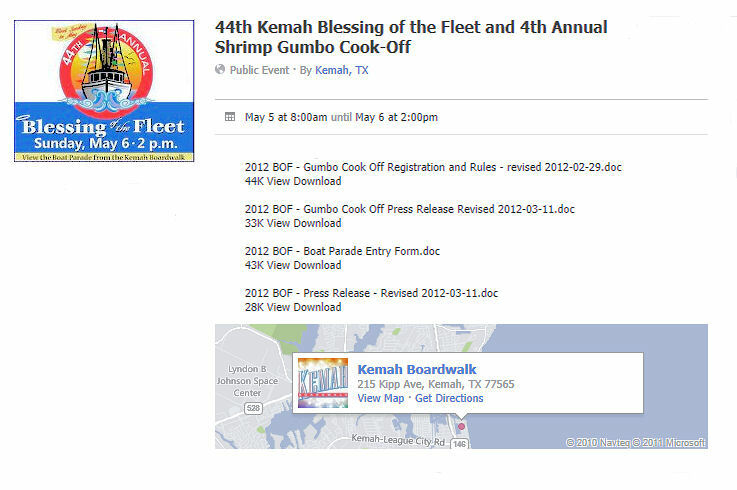 Kemah, Texas.